Accounting and Finance Transformation Project RACI Matrix is a list of activities, which you can customize, and assign to your team. Is your firm embarking on a Finance and Accounting Systems transformation project? If so, do you know who is doing what? Is it clear who’s neck is on the line for which task? And who needs to be consulted and informed? No wonder you need a RACI matrix (Responsible, Accountable, Consulted, Informed)! 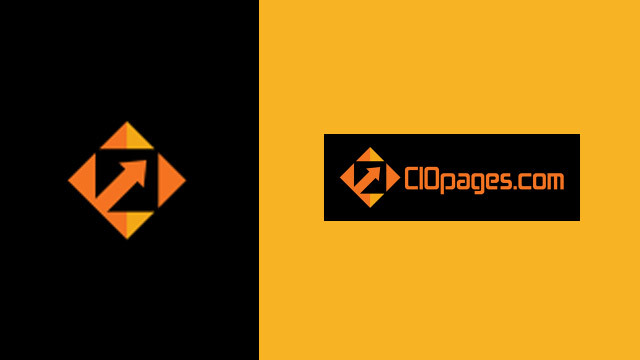 The CIOPages.com Finance Transformation Project RACI Matrix allows you to keep tabs on critical milestones and outcomes along with relevant personnel and their roles in an implementation project. Accounting and Finance Transformation Project RACI Matrix is an Excel spreadsheet with the principal activities and column to assign roles. The deliverable consists of about 50 key events and milestones involved in a typical large scale Finance and Accounting Systems implementation along with columns to assign the team to RACI roles. 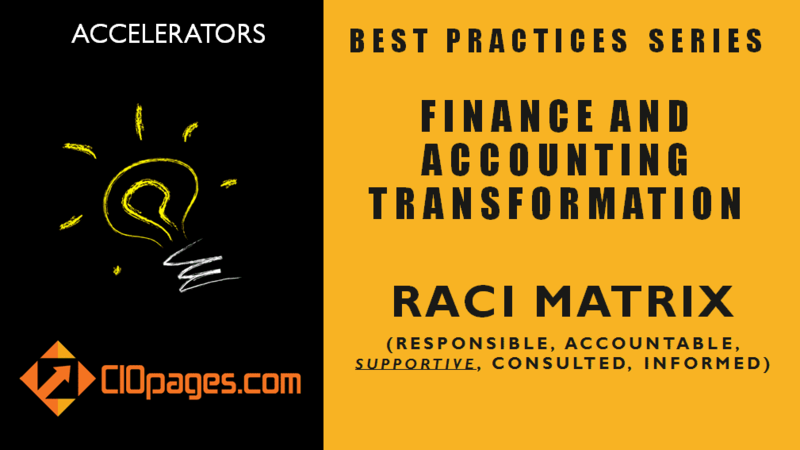 The Accounting and Finance Transformation Project RACI Matrix deliverable does not contain all the everyday project management minutiae, except key milestones. However, you can add/modify any of the items. As the Accounting and Finance Transformation Project RACI Matrix is a digital product, there are absolutely NO Returns. Depending on your industry, the type of solution you are implementing, the scope of implementation, and program structure, some or all of the content may or may not be relevant to you. Why do I need Finance Transformation Project RACI Matrix? Keeping tabs on a large and complex Finance and Accounting Systems implementation and ensuring things are getting done is not an easy task. A RACI matrix helps the project team assign, monitor and manage milestones/activities to the various team members. Knowing who is doing what and in what capacity will help a great deal. We understand and acknowledge each company is slightly different, but in the end, major transformational programs are similar in structure, challenges, risks and best practices. Consequently, the content here will be more or less relevant to most mega and medium firms. And of course, while this deliverable may not cover all that your business needs, even a 50-75% relevance will help reduce the time spent on conceptualizing the items. Instead of starting from scratch, a well-conceived list of tasks/activities can help you deliver value quicker. And regarding cost, it is far less than what it will take to buy coffee and cookies for the project team to brainstorm the tasks and activities list. Finance Transformation Project RACI Matrix is available at a steep discount as a part of the Finance Transformation Toolkit Enterprise Edition. Would you rather consider purchasing the bundle?